Re: Put No limit winmugen back in its original WinMugen state. 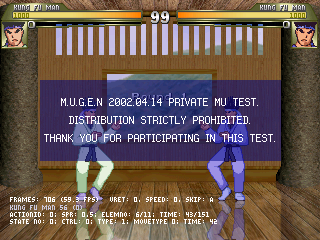 I would literally pay you money for that mugen for the sake of preservation. I know some people don't understand, but its why things like MAME exist. Why does anyone want to preserve a lame-o McDonalds digital toy etc??? Who want's to preserve a TIGER digital toy??? Stuff like MAME does that. I've paid to preserve before, also physical things as well. It's a nice document into time of the past. Let me know if interested. The difference here is that you have the same software and features already available in Rouhei's winmugen, so there's nothing relevant to preserve by keeping the original elecbyte version. And since you brought up the MAME/emulation example. There is no reason to keep archive (for preserving purposes or history facts), bad dumps or incorrect rom sets with wrong CRC checksums. If a rom is badly dumped, as soon as a correct dump exists, no one is keeping the old incorrect roms. CPS2 emulation scene is no longer keeping or storing the XOR tables when the CPS2 emulation was incomplete, they have been completely removed from the romsets once the encryption was fully cracked/emulated. lmao. not even worth it. wow. we're done here. my god. what an idiot. No point dealing with these kind of people, right craver? Oh yeah, call me an idiot and say there's no point in dealing with these kind of people. That's really mature behavior you are displaying, dude. You have absolutely no idea who I am or what I've done for this community. And treating people in such manner will not do any favor in case you want to get stuff or information from these kind of people. So from my side everything is cool. I respect it. I asked and someone answered. Do you actually know if other people own this mugen version? 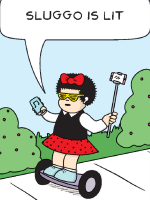 And no, I'm not going to appeal to her. Yeah you are an idiot that shouldnt be dealt with. Maybe approach people with a bit more care and concern instead of trying to rude your way through conversations and they'll be more patient in dealing with you. This seems unnecessarily harsh. I'm gonna give you some time to think about all this, alone and by yourself. Because I'm gonna ban you. Makes on question what a "hero" truly is when they're being the most antagonistic party in the situation. yeah, totally makes the other guys who also have the files feel like helping. I would actually love to have this too because I'm some kind of file hoarder. Seeing as it clearly says "DISTRIBUTION STRICTLY PROHIBITED", I know I am not meant to have it. Even if it was leaked. I'm glad to see it's survived after all these years. If nothing else it's a cool keep sake for those that helped in the beginning.